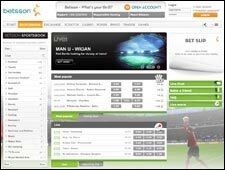 The online gambling sites shown here list the most trusted US friendly casinos, poker rooms and sportsbooks by default. To change the list, use the drop-down menu at the top. Click the button below to see a complete list of the most trusted online gambling sites, those that have received a TrustRank of 100. PlayersJet is an independent directory of online gambling sites providing non-biased information. Our goal is to help you make the most informed and best decision about where you gamble or wager your money online. It's always important to gamble safely online, so make sure to pick one of the gambling sites with a high TrustRank. As you look around our site, you will notice a number associated with every online gambling site called a "TrustRank". This number is derived from an individual review of each website, taking note of over 30 unique factors which are fed into an algorithm to arrive at an overall score. For example, an online casino may be considered more trusted if they show their payouts, but they are considered more trusted if the payouts are independently audited. We currently have 1,047 online gambling sites ranked and ready for your review, with more being added every day. The best information you can have before you try betting online is a personal recommendation from another player. We allow players to openly review sites so you can get the inside scoop on other players experiences, just find the online casino, online poker site, online sportsbook, online bingo site or online slot you are looking for and scroll to the bottom of the page to submit a review. 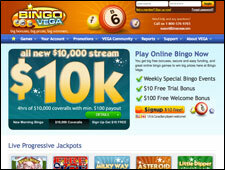 I've played at many Bingo sites and BingoVega is by far the worst ! Between the problems with depositing (their changing processor companies constantly or their processors are "down") trying to withdraw winnings (total nightmare) their just not worth it. Not to mention the site constantly has what they call "issues".. and its always the same winners whether its on their free games or pay games. I recommend staying away from this site all together! Q: What is Online Gambling? Online gambling is defined as the placing of bets with an online casino, sportsbook or poker room through the Internet. While traditional gambling involves two or more persons involved in the exchange of bets, online gambling, especially through online casinos, generally takes place between a single person and a web server. In the case of online poker, rooms pit 9-10 players against each other, meaning that each person is playing against other people rather than a computer. The odds for the player are the same at online casinos as they are elsewhere thanks to the use of random number generators that create the same level of chance that would be found in real world casinos. Q: How to Choose a Place to Play? There are many online casinos, poker rooms and sportsbooks starting up every day on the web, making it difficult for someone new to gambling online to know which operators are reputable, who provides stable software and which processors can handle a transaction from your jurisdiction. PlayersJet can help greatly in your search for the best sites, as we provide rankings and reviews for all betting sites from casinos to poker rooms to sportsbooks. Q: How Do I Know Who I Can Trust? When you first encounter an online casino, it can be a little daunting with the flashing images, pop-up windows asking you to download their software and in-your-face no deposit casino bonuses. Getting through all of that clutter is what the PlayerJet TrustRank (TR) system is all about. PlayersJet TR is a proprietary algorithm that factors over 30 data points to help you find the best places to play. Our algorithm takes into account internal factors such as audited payouts, customer service and player friendly terms, but also considers many external factors such as third party certification, player reviews and affiliate relationship.